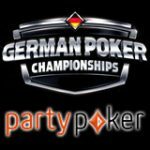 PartyPoker are offering players rake free tournaments for a limited time period, this means all buy-ins will have no tournament fees with 100% of every buy-in going to the prize pool. 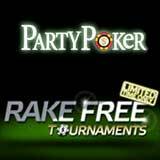 The Party Poker Rake free tournaments apply to all multi-table tournaments, PartyPoker plan to run this promotion for as long as possible so players can take advantage of bigger prize pools with with no extra charge. Use the latest PartyPoker reload bonus code when adding funds to your account in July and get free entry into the $100,000 freeroll tournament. 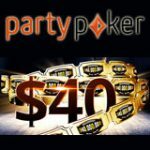 Party Poker accept players from around the world excepting USA Poker players, they are licensed and regulated in countries which include France and Italy. When players buy-in to an tournament a percentage of the buy-in is taken by the online poker room for example: $10 + $1 where $10 is added to the prize pool and $1 is the tournament fee charged by the online poker room. With Rake free tournaments players won't be paying any tournament fees so basically they get to play the tournament with 100% of every buy-in contributed increasing the prize pool. A regular $10 + $1 online poker tournament will become an $11 + $0. Tournament fees are generally 10% of the buy-in so players will get to play for an extra 10% added to the prize pool. If a 1000 players register for a $11 + $0 the total prize pool will $11,000 instead of $10,000 when tournament fees are deducted. 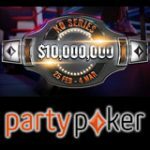 Party Poker have added a $100,000 freeroll tournament this July for depositing players, simply make a deposit to qualify for one of the biggest freerolls online. 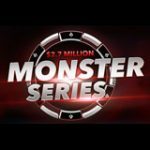 To qualify for your free entry into this massive online poker freeroll tournament players must make a deposit using the Party Poker reload bonus code 200JULY before the freeoll tourney begins. 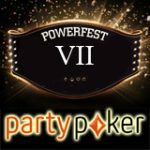 Depositing players will also qualify for a 100% reload bonus up to $200, the PartyPoker reload bonus code is valid till the 7th August 2011. 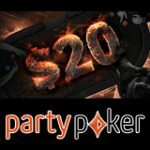 Reload your PartyPoker account and get up to $200 bonus when making a deposit in July.